Click here to learn more about Dr. Mark Bushée. Chiropractic Adjustments, a common therapeutic treatment for back and neck pain.
" 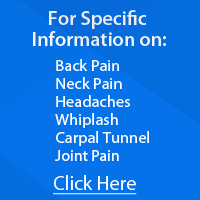 Back and Neck Pain Relief Center"
"What is your spinal pain preventing you from doing right now in your life?" Because we are all unique, the answer to that question directs our focus on helping "you" achieve "your" health goals. 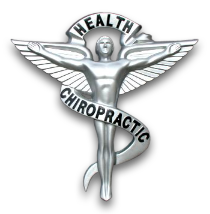 The leading edge health care professionals at Universal Chiropractic Health are dedicated to helping you "get out of pain" and resume a healthy and active lifestyle -- with a combination of knowledge, skill and experience that spans the entire health and wellness spectrum. The health care team at Universal Chiropractic Health are "back and neck pain experts, helping patients like you resume a pain free, active and healthy lifestyle". We offer the most sought after spinal pain relief and wellness care options which are the basis of a Chiropractic Lifestyle. 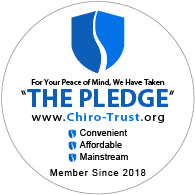 As a member of the Universal Chiropractic Health Community, rest assured that you will be receiving the finest quality healthcare, through a combination of both classic techniques and modern technology. When you, your family and/or friends are ready to "TAKE CONTROL OF YOUR HEALTH", the professionals at Universal Chiropractic Health, along with the rest of the "Hudson Valley Healthcare Alliance", are here to help you "get out of pain and get back on track". We're always here when you need us. So enjoy our website and discover how Universal Chiropractic Health can help you and your family "LIVE A PAIN FREE and ACTIVE LIFE". Call our office today at 845-896-3817, or contact us by email, and make an appointment to speak with us about your health care options. Want to learn more about How Chiropractic Care Can Help You.